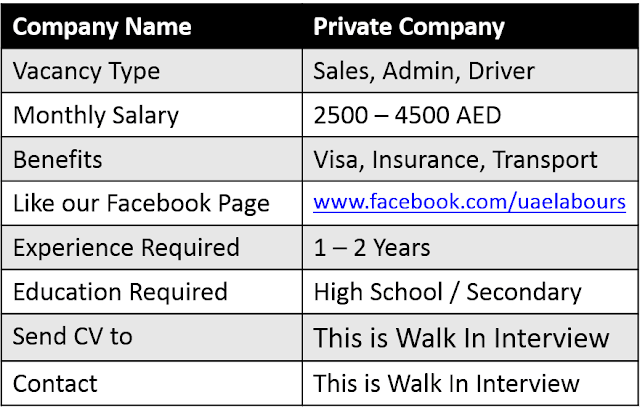 A Company is Hiring below candidates on urgent basis. We are Looking for Male/Female candidates with experience of Corporate sales. Those who have Social Media sales and marketing experience will prefer more. Admin Staff (female only), duties are responsibilities will be given on interview Table. We are hiring Driver with Dubai Driving License, Minimum Experience Required 2 Years. 5th Floor, Office # 514, Pinnacle Building AL BARSHA 1, Near SHARAF DG METRO STATION. Please do not forget to share this Job with your Friends, colleagues and Family Members. 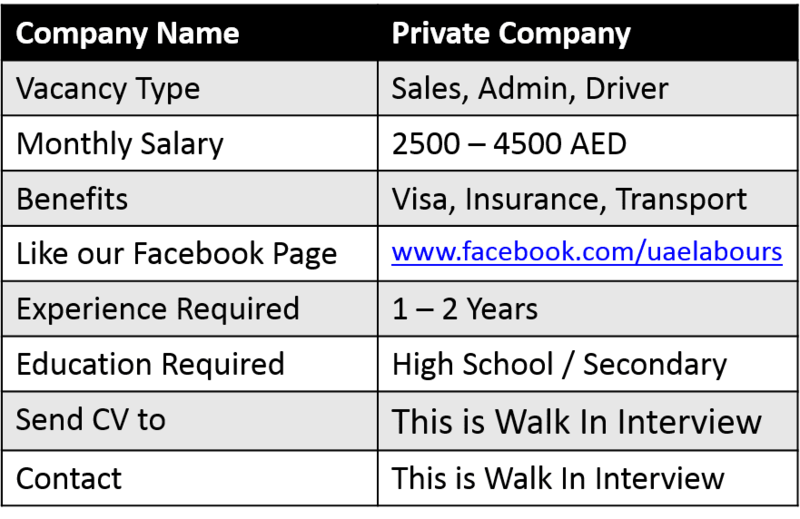 Like our Page for More Confirm Jobs across United Arab Emirates. When is the interview date?